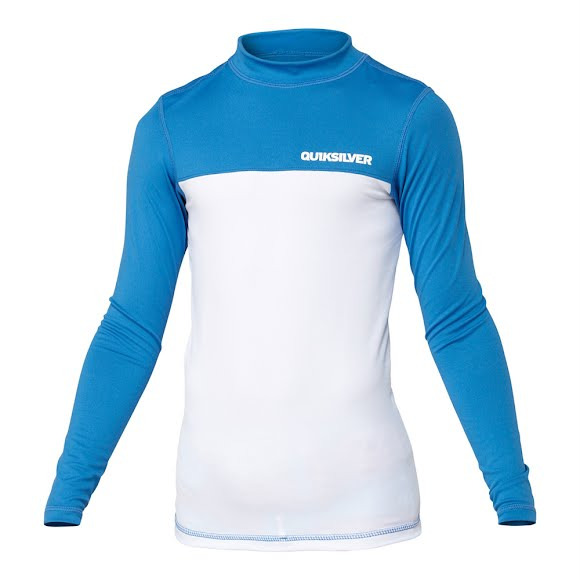 Keep your little one's protected near the water with help from Quicksilver. The Chop Block Long Sleeve Rashguard features UPF 50+ technology as well has a flatlock stitches for all day comfort. Keep your little one&apos;s protected near the water with help from Quicksilver . The Chop Block Long Sleeve Rashguard features UPF 50+ technology as well has a flatlock stitches for all day comfort. Quick-drying polyester material provides for the comfort you need.